Apple's HomePod smart speaker is finally almost here. After a month-long delay that caused it to miss the all-important holiday-shopping season, Apple has announced that HomePod will begin shipping on February 9, more than eight months after we first got a glimpse of it at WWDC. Apple's biggest advantage over Android is with Messages, and that will only strengthen with HomePod. While you can use Google Assistant on Android phones to send messages, you can't do it easily using Google Home. Amazon Echo lets you send messages, but they'll only go to users hooked up with Alexa (either through an app or device). However, you'll be able to ask your HomePod to send messages just as you would with your phone by saying, "Hey Siri, message my wife." Plus you'll also be able to use HomePod as a speaker for making calls to anyone (not just other HomePod users). And developers will be able to bake in integration into their own messaging apps, too. Apple is promising HomePod will have the best sound of any smart speaker. Apple is betting big on HomePod as an audiophile device. 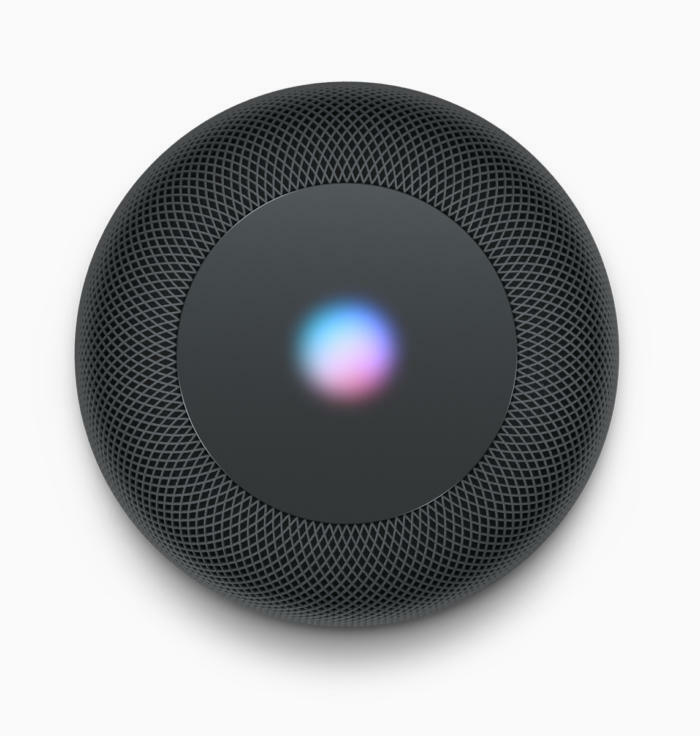 Just check out this description from its website site: "HomePod combines Apple-engineered audio technology and advanced software to deliver the highest-fidelity sound throughout the room, anywhere it’s placed. This elegantly designed, compact speaker totally rocks the house." So there's no doubt that it will trump any of the fidelity-challenged Amazon Echo devices when it comes to sound quality. 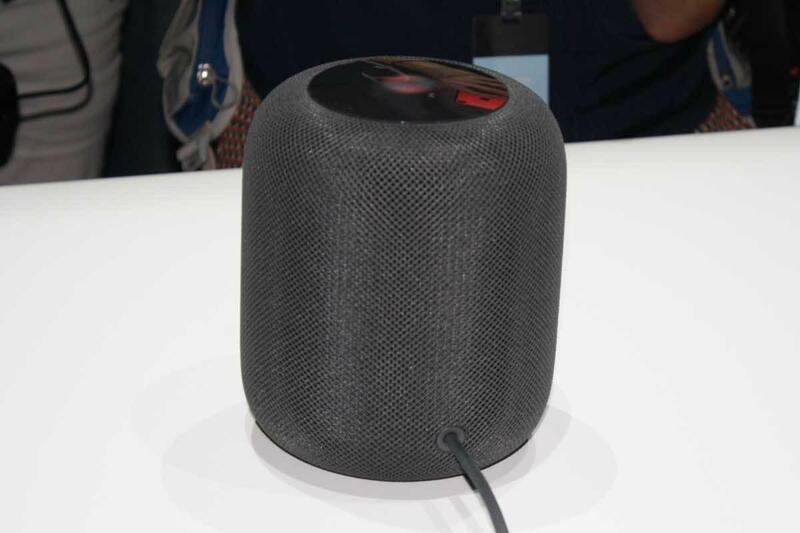 Google has its own high-res speaker called Google Home Max (which costs $50 more), but Apple claims HomePod's unique twitter and woofer design and spatial recognition will be superior. There's also the booming Alexa-powered Sonos One, but smart assistant integration is spotty. So if Apple's claims are true, it will be the best-sounding smart speaker of all. After more than three years, the best way to stream your music library inside your house is still through your television. HomePod will change that with full Apple Music integration, complete with support for Siri commands and playlists. Apple also says it will learn your tastes based on the songs you like (by saying, "Hey Siri, I like this), and adjust your playlists and recommendations accordingly. That alone could be a killer feature for lots of the 30-million-plus Apple Music listeners. HomePod's screen could be a great way to get timely notifications. Surprisingly, note-taking is something of a spotty feature on smart home speakers. On Echo devices you need to activate one of several hit-or-miss skills that are available, and on Google Home, you have to rely on IFTTT (If This, Then That) to get a note into your app of choice. HomePod will work with Apple Notes out of the box and automatically sync any dictated notes with the Notes app on your phone, as well as add reminders and to-do items. And with SiriKit for HomePod, developers will be able to easily link their own apps to HomePod too. Privacy is a big deal with Apple devices, and it's probably the main reasons why it took so long to get a Siri-powered home speaker. Like Echo and Home, HomePod doesn't start recording until it hears, "Hey Siri," and even then, Apple has taken steps to protect your privacy: "With HomePod, only after “Hey Siri” is recognized locally on the device will any information be sent to Apple servers, encrypted and sent using an anonymous Siri identifier." That last bit is the differentiator here. While Google and Amazon encrypt your conversations as well, everything you say is tied to your account, so they know a lot about you. Apple is only interested in making Siri better, not learning about its users, so it won't know what you're asking. Apple HomePod is positioned primarily as a home music system that happens to have digital assistant capabilities. Google Home and Amazon Echo have a huge lead on HomePod, but it isn't just with the hardware. Google Assistant and Amazon Alexa have far greater abilities than Siri, thanks to a plethora of third-party skills and actions. 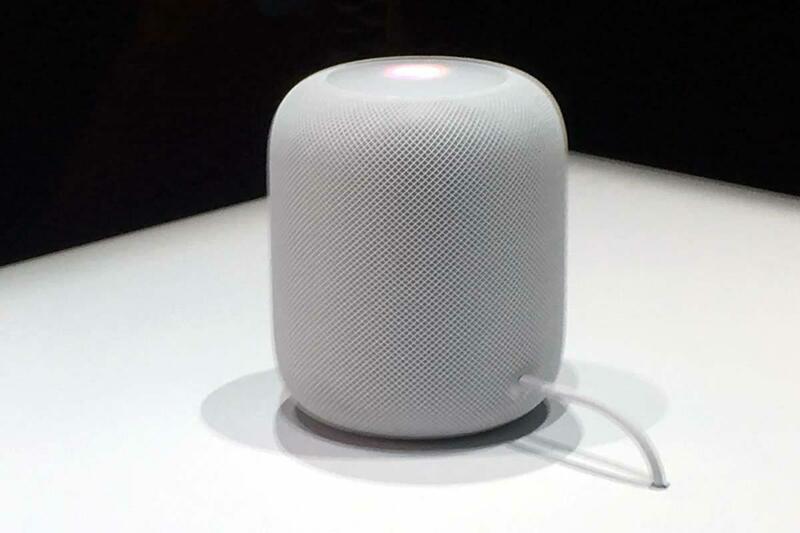 HomePod will have some app integration at launch—Apple is allowing HomePod to integrate with messaging, list-making, and note-taking apps—but it doesn't appear to do any of the fun things that Alexa and Google Assistant can do, like play musical chairs or read bedtime stories. Of course, Apple will likely add these things over time, but at launch it pales in comparison to what Google Assistant and Alexa can do on their respective devices. Apple Music subscribers will surely love HomePod, but all other music listeners are left out on the cold. While 9to5Mac is reporting that HomePod will "play content purchased from iTunes, stream Beats 1, and listen to podcasts without needing a subscription," Apple hasn't actually confirmed this yet. But even if iTunes libraries are fair game, those who have a Google Play Music, Spotify, Tidal, Pandora, or Amazon Music subscription are left in the dark. 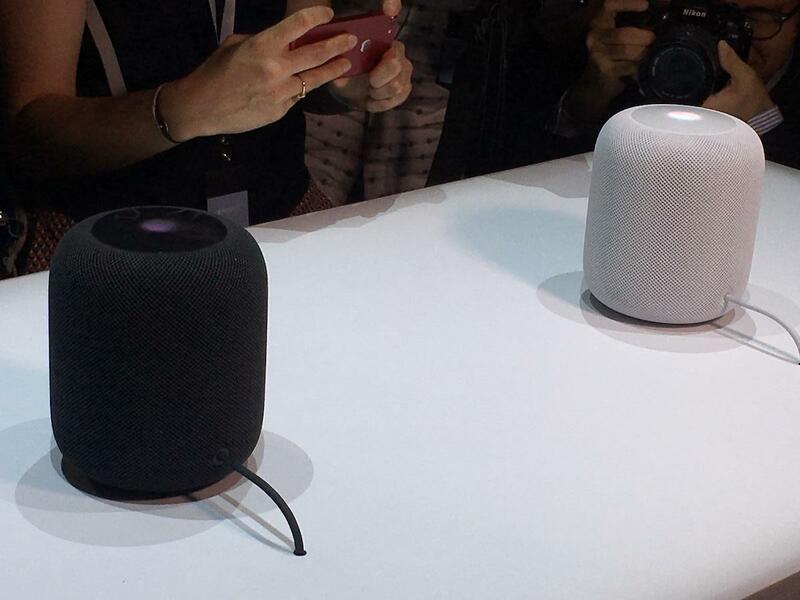 (They will be able to use HomePod as an AirPlay speaker and beam audio to it from your iPhone, but won't have any voice controls.) On Google Home and Amazon Echo, however, you can stream anything you want. Well, anything except Apple Music anyway. If you have two HomePod speakers, they won't be able to talk to each other. When HomePod ships in February, it will be missing a key feature: multi-room audio. 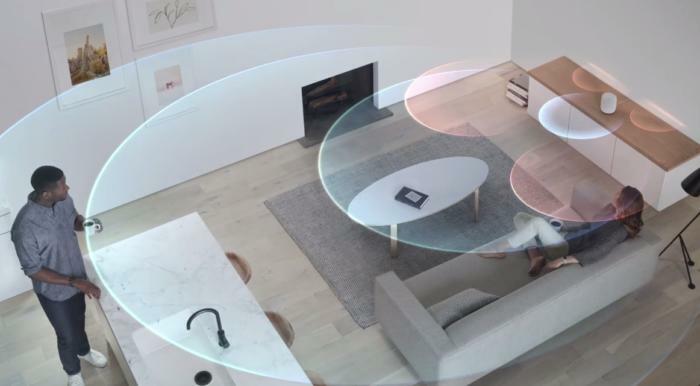 One of the main parts of the WWDC presentation was HomePod's ability to beam audio from one HomePod to another in different rooms, a feature that's already available on Google Homes and Amazon Echoes. Amazon even has this kind-of-creepy, kind-of-cool feature that lets you "drop-in" on other Echo devices. Early HomePod adopters won't get any of this, and Apple hasn't said when they will. While HomePod technically has a screen at the top of the device for displaying controls and rudimentary graphics, it pales in comparison to the Echo Show and Spot, as well as the line of Google Assistant-powered displays we saw at CES. Now, Apple could integrate HomePod with Apple TV to visualize what we're seeing, but as it stands, if you want a speaker with a real-deal screen, you'll need to get something other than the one Apple is selling. This is the million-dollar question, literally. Apple's HomePod is priced at $349, which is at the upper-end of the home speaker market. The most expensive speaker Amazon sells is the $229 Echo Show, which has a 7-inch screen built into it, but the Echo Dot is just $49. Google Home Max is actually more expensive than HomePod at $399, but Google also sells a $49 mini. Apple is already arriving late to the home speaker party, and its hefty price tag could make for a slow adoption.